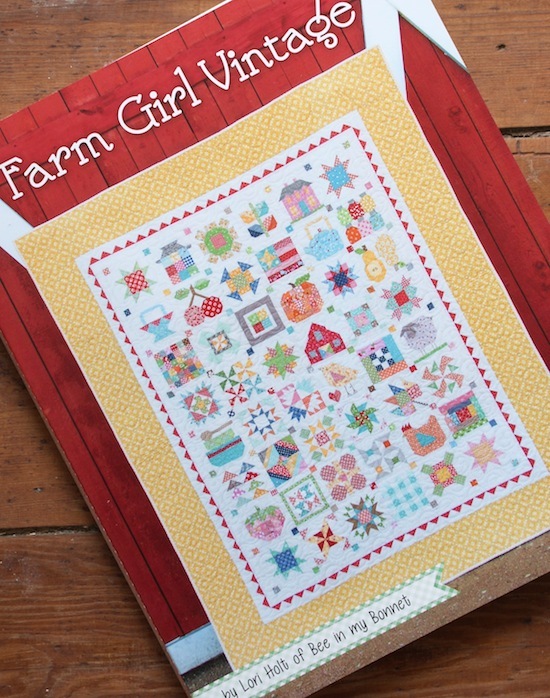 Welcome to week nine of the #FarmGirlFridays sew-a-long! 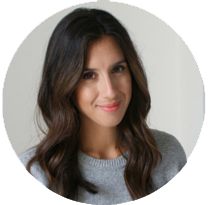 Hello, if you're joining me for the first time via Fat Quarter Shop, I'm Jessie! But can I just start off saying - I looove this Fresh Pears quilt block! I specifically chose this block to make when joining with the other bloggers because it's so fun, and so Lori. I even cut into my very prized and very small collection of vintage feedsacks to make one of the pears. It sits perfectly in my kitchen, and having just scooted over to Lori's blog today, I see she has made four more blocks and arranged them in a clever rotating way. I might have to copy exactly and have a little wall-hanging in my kitchen, what do think? It would go nicely with my apple mini quilt I made from Quilty Fun! If you're not aware of the Farm Girl Vintage sew-a-long (ahem, where have you been?! ;-) It's an online quilt-a-long to make the sampler quilt featured on the cover of Lori Holt's newest book Farm Girl Vintage, which you can buy from Fat Quarter Shop here, and for those of you who would like to purchase in the UK - you can find it in my shop online at Sew and Quilt. Each Friday two bloggers are making two blocks from the quilt, this week it's me and Kerry; who's making the Feed & Seed block. You can find the full schedule and all the details here if you've missed anything so far. There are 45 blocks in total that make up the quilt, but you can change them up and make all sorts of different quilty projects with them. 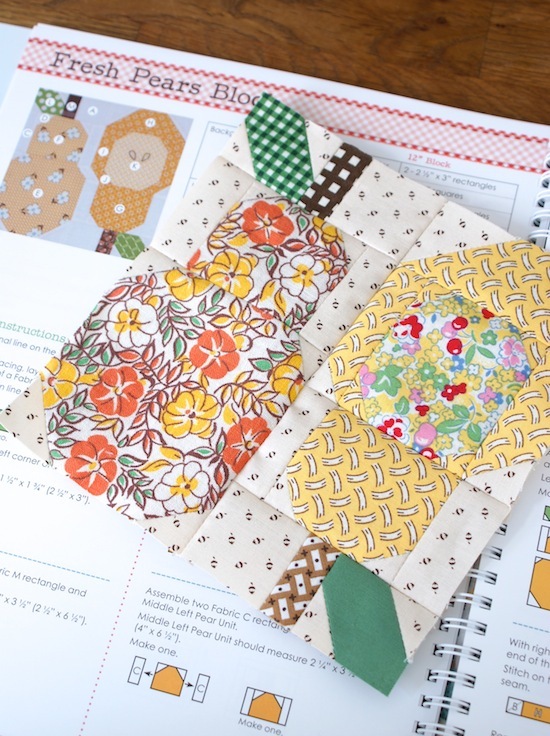 Kimberly from FQS has posted a video on YouTube on how to turn the blocks into potholders, with an interesting method of using the backing fabric to also bind your quilt. I must try this. Have a nose at the #FarmGirlFridays hashtag on Instagram too - that will certainly give you a few ideas. The pears are adorable and I agree-make a kitchen wall hanging so you can them out when laundering one. I love her new book and I want to make all of them. I have done the chicks and canning jars 6 inch squares. I really have my eye on the tractor in a field of pinwheels. I have some John Deere fabric but I'm thinking a pink and purple tractor would be awesome too. I just might have to make two! Thatza lotta pinwheels!!! I love your talent for picking just the right fabrics! It's a beautiful block!